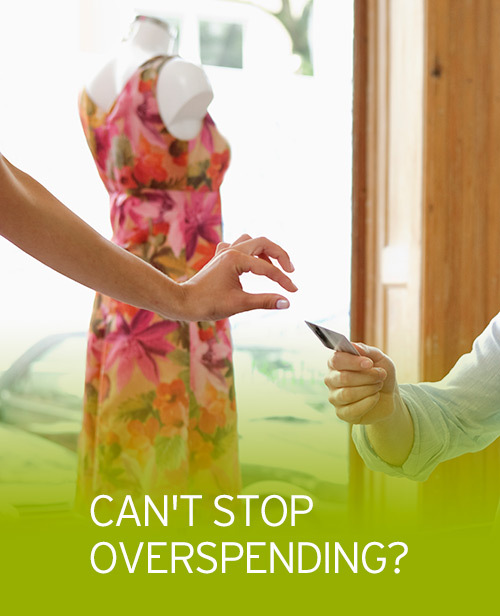 Did you know that overspending is usually related to emotional pain, distorted thinking about what you feel you deserve, and/or a disconnect between the buying impulse and actual results of the purchase? In some cases, overspending may stem from wanting to live a similar lifestyle as others—even though the reality is everyone’s financial situation is different. Give yourself some time before you buy to ask, “What am I really feeling?” or “Why do I want to buy this?” Try waiting three days, and then see if you still want to buy the item. Instead of making a purchase, distract yourself by engaging in another activity, such as exercise, meditation or prayer – anything other than a money decision. If you typically shop with credit cards, challenge yourself to spend only cash for a month. Seeing the cash leave your wallet carries more emotional impact than buy-now-pay-later plastic. This entry was posted on Friday, January 17th, 2014 at 1:31 pm	and is filed under Primerica. You can follow any responses to this entry through the RSS 2.0 feed. Both comments and pings are currently closed.